Lisbon is a very beautiful city. However, it’s also busy. The chaos, noise, and pollution are not always great for us. That’s why it’s worth getting out of the city and spending some time in nature. The area around Cascais, Guincho and Sintra forests are great spots to spend a day outside of Lisbon. Whenever I want to see the ocean and breath in some fresh air, I jump on the train and head towards Cascais. Sometimes I stop in Estoril, sometimes I go further. If I rent a car in Lisbon, then I can explore even more. This short trip is extremely pleasant, doesn’t cost much and takes very little time. Once you get out of the city, you feel like you’re in a place, where you can relax. 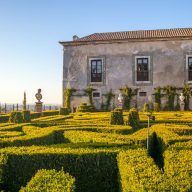 If you’re on a short holiday in Lisbon, or you live here, going on a short trip outside of Lisbon will be a good idea to get to know the country better and getting some fresh air. You don’t need huge resources to do it. You can be by the ocean in no more than 30 minutes. 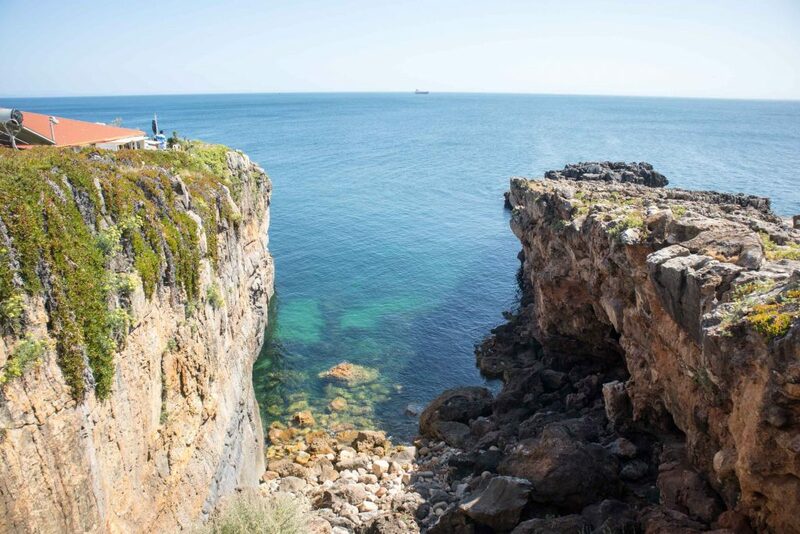 Cascais, Guincho and Sintra Forest are all close to each other and you can explore them in one day. Here’s what you need to know. It’s quite a bit of a walk to the main attractions of Sintra, but if you have a lot of time, you can do it, too. However, it’s best to take your car and drive there. I did the hike to Guincho beach from Cascais once. It was great, but very exhausting. Leave early in the morning. 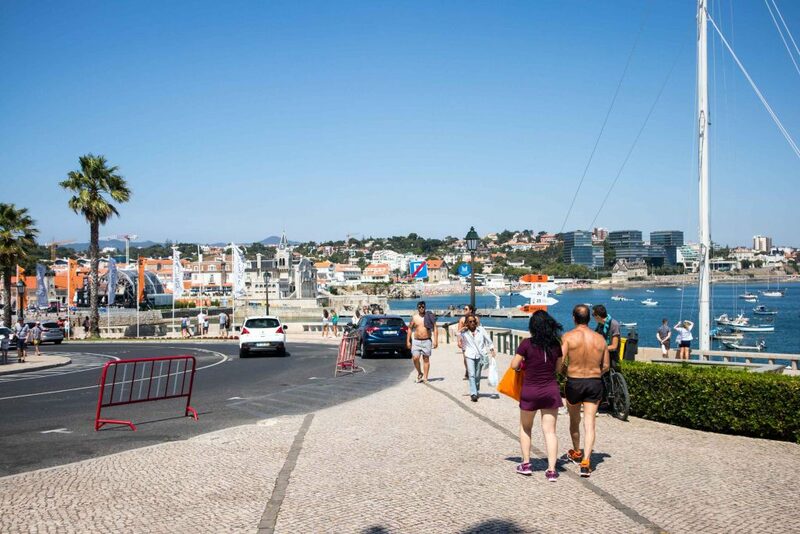 From Cais do Sodre you can take a train that takes you all the way to Cascais. A car is a better option as you don’t need to spend so much time on a public transport, or walk so much. In Cascais stop for a little while and explore the town. 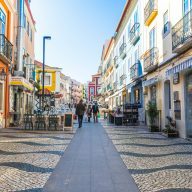 Check out the main walking street, lined with small, Portuguese – style homes. Then head to the shore to take some nice photos of the small beach and the fishing harbour nearby. Cascais is a very pleasant place for a walk. My favourite place is the area around Casa de Santa Maria, with a beautiful little cove, blue water and some picturesque rocks. 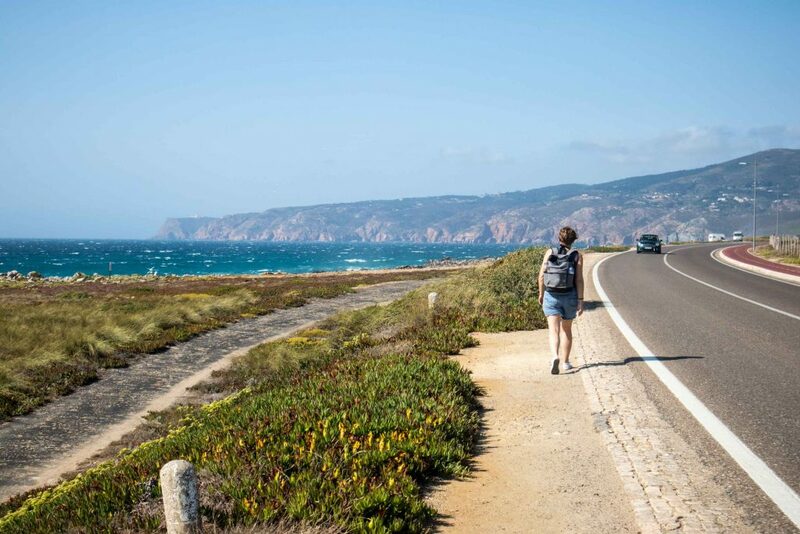 If you decide to walk to Guincho, then you will have an amazing view over the ocean. The 10km walk leads along cliffs and viewpoints. You will want to stop and take pictures all the time. If the waves are big and the wind strong, don’t walk up too close to the edge of the cliffs. During my walk there, I felt like I was going to be swept away to the ocean. Apparently, that happens from time to time. It’s better to stay a bit further from the cliffs. The road is very picturesque. You will want to stop and admire the views all the time. 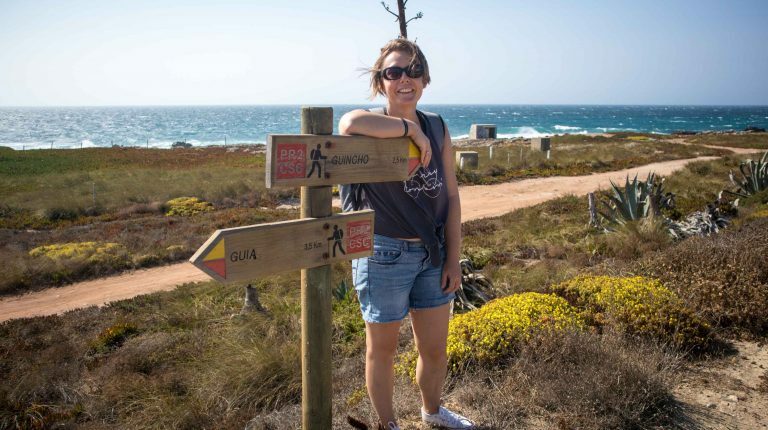 Another good idea to get to Guincho is to rent a bicycle. There are some rental places in Cascais. 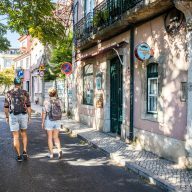 You can also use an Uber bike, or a Lime e-scooter, but check if it can reach Guincho without running out of battery (you can check that on the app). The Guincho beach is located almost at the end of that road. There is a bar and a restaurant, which offer umbrellas and wind breakers for those that cannot stand too much sand and strong winds. Stop here for a bit to rest. Eat lunch, drink something, go for a swim (if you’re not afraid of the huge waves). After that you can walk to Sintra Forest. Only in Portugal does a beach looks so inviting but scary at the same time. There are a lot of nice paths in the area. When I went there I was instantly in love with the place. What a treasure! On a sunny day the forest is alive with birds and butterflies. It’s really magical! 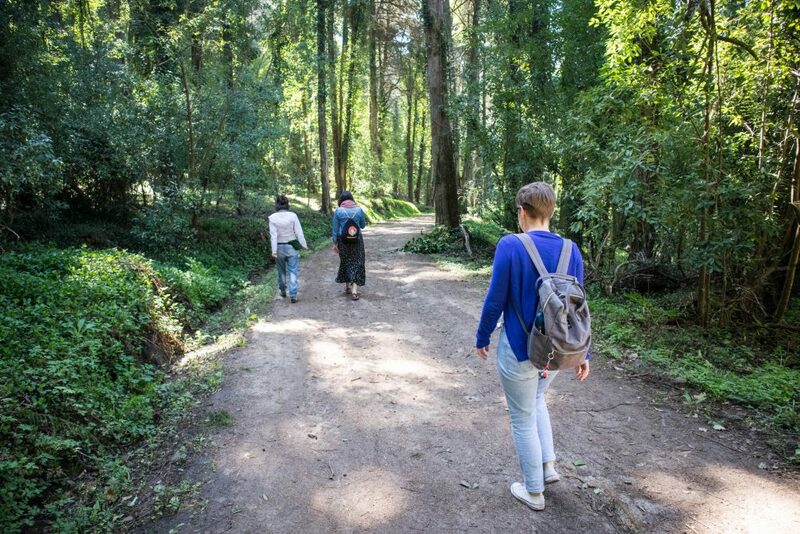 This forest is a perfect spot for a trip outside of Lisbon. Use your GPS to navigate. There are quite a few options and it all depends what you want to do and where you want to go next. 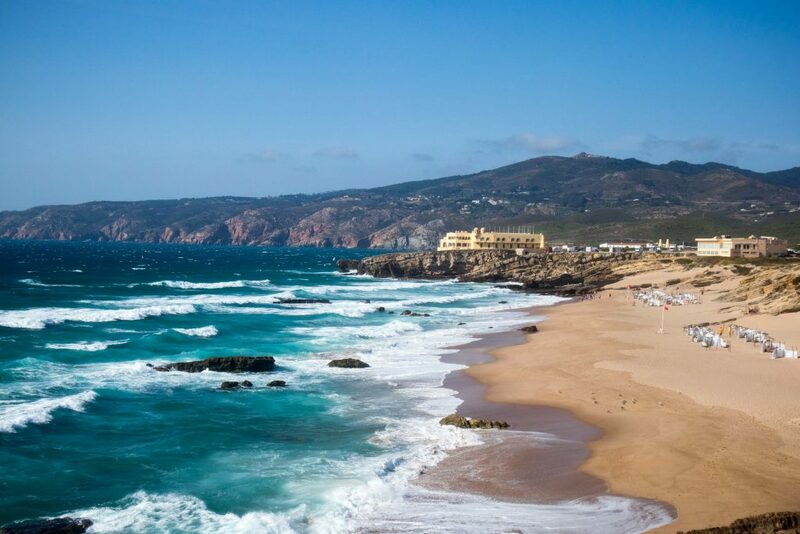 You can go back by a bus that departs from Guincho beach to Cascais and then take a train back to Lisbon. Wear very comfortable shoes. You will walk a lot. Carry cash with you. Many places don’t accept cards. Take a lot of water, especially when you travel in the summer months. Put sunscreen on and a hat. Have your phone charged. You will need a GPS. Tickets for buses and trains to, in and around Cascais are different from those in Lisbon. 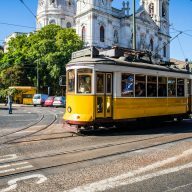 Read my post about transportation in Lisbon to find out more. 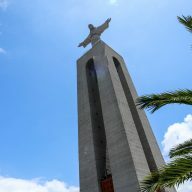 If you don’t want to stay in Lisbon and prefer to hang out in Cascais for a couple of days, here are some nice and affordable options for you. Cascais Bay Hostel – the hostel has 8-4 dorm rooms and is located one minute walk from the main beach. There is a buffet breakfast every morning. Get Inn Hostel – it’s located slightly further from Cascais, but also close to the beach. It’s clean and the service is great. Cascais Terrace Fruit Point – the rooms in the hostel are fitted with a coffee machine. With a shared bathroom equipped with a bidet and a hair dryer, certain units at Cascais Terrace Fruit Point also provide guests with a garden view. Guest rooms will provide guests with an oven. Eco Ljmonade Hostel – offers double, triple, quadruple and dormitory rooms, all with a private bathroom where guests will find bio shower gel and hand soap. Some rooms feature a terrace with ocean, mountain and city views, and bed linen and towels are provided. Hotel Baia – situated in the centre of Cascais, just 20 m from Fishermans Beach, this hotel features an indoor rooftop pool and an outdoor terrace with panoramic ocean views. Baia rooms have air conditioning and are decorated in warm colours. They come equipped with a telephone and TV. Some rooms feature Atlantic Ocean views. Casa Vela Charm – including garden terraces with views of the pool and fountains, this guesthouse offers colourful and spacious accommodation. It has free Wi-Fi and serves a daily buffet breakfast. Do you have any questions? Would you like to share your experiences or your point of view? Don’t be shy! Leave a comment! 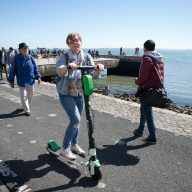 Lime E-Scooters: Wizzing through Lisbon’s streets!